Staff volunteering over the weekend painting murals at Depaul’s Little Britain Street hostel. 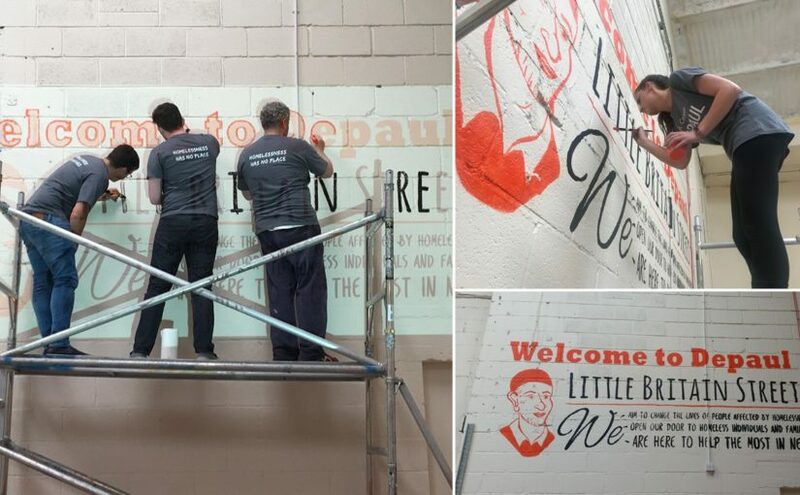 Crowe staff were busy over the weekend volunteering their spare time to begin the first stage of a large community painting project at local Depaul Homeless hostel on Little Britain Street, Dublin 1. 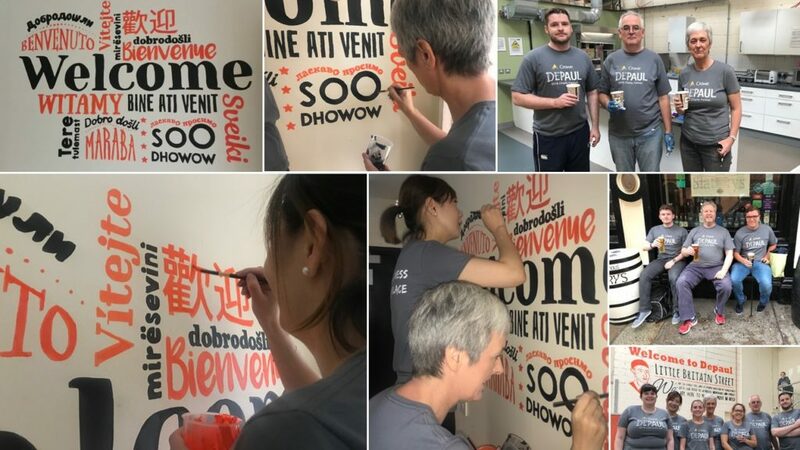 For the first of a series of planned volunteering weekends, staff designed a number of inspirational murals which were painted throughout the hostel. More artworks are planned in the coming weeks which will be co-developed with the services users of the hostel to draw from their personal memories and experiences. Staff chose to work specifically with the local Depaul hostel at Little Britain Street for their 2018 CSR programme year after supporting the hostel through the seasonal “Presents for All” initiative in 2016 and 2017. A number of fundraising initiatives have also been planned. Crowe staff recently raised over €2,000 sponsorship money by taking part in the 2018 Woman’s Mini Marathon in June. There will also be teams fundraising by participating in the Great Dublin Bike Ride and the Depaul annual Raft Race against Homelessness, taking place this September in Dublin’s Grand Canal Dock. Find out more about our Corporate Social responsibility programme and learn more about the vital work that Depaul carry out to help the homeless.